The London rental market has bounced back to see rental values rise by more than 4% across most of central and east London with healthy gains seen across most of the rest of the city. The research by analysts at Benham & Reeves Residential Lettings cite the crippling effect of the new stamp duty rates on the sales market for the strong rental market as tenants eschew home ownership in favour of long term tenancies. The prime central London market saw strong gains last quarter after several quarters of stagnation, and continued to see strong growth this quarter, the data also shows. Many of the tenants are overseas professionals who are opting to rent long term as the cost of renting often represents a saving compared to purchasing a home in high value areas thanks to the 12% top rate of stamp duty. The rental market in east London is also very strong but for different reasons. The tenant demographic is typically younger and more likely to be British. However, many of these tenants are deliberately choosing to rent rather than own a property as a lifestyle choice, the report suggests. It explains that many of the millennial generation do not view home ownership as a goal and recognise that they can often afford to rent a much better property than they can afford to buy. Millennials are also a more mobile workforce who change jobs more frequently than previous generations. North London was one of the few areas to see rental values fall. A number of new developments in north London have seen the property supply increase. Locations on the Northern Underground Line have also fallen as the Central Line interchange at Tottenham Court Road has been suspended for several months while the station is rebuilt for Crossrail. ‘From an investors' perspective, it is very interesting to observe demographic changes. One of the reasons the rental market tends to remain so strong in areas such as east London is because these areas attract Millennials who are content to rent long term,’ said Marc von Grundherr, lettings director at Benham & Reeves Residential Lettings. ‘They're simply not willing to scrimp and save for years to afford a deposit but prefer to live for the moment. This concept even extends to where they choose to rent as they'd much rather live somewhere central close to good bars and restaurants than commute in from more affordable areas. For as long as East London remains hip and trendy, it will continue to attract good quality tenants,’ he added. 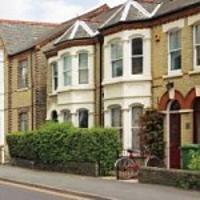 Separate research from JLL also suggests that the lettings market in London is strong. According to Tom Middleditch, associate director of the firm’s Kensington office said September was particularly strong and added that landlords should still see this as the ideal month for their properties to be coming available. ‘Taking the months of August and September, we seen a 49% increase in tenancies starting than in the full two months of June and July, on average, more than 3.3 new tenancies begin every day,’ he explained. ‘The tenancies during this autumn period include a large number where an offer has been agreed within days or even hours of the property coming to the market. However, there are also countless examples of properties that had stood vacant during the quieter summer months before becoming occupied again once the demand from tenants increased,’ he added. However, despite this positivity, there are a lot of landlords who are still looking for tenants. ‘The good news is that there is still plenty of time before the market will quieten down for the traditional end of year lull. However, the balance between available properties and tenants throughout this year has been less favourable to landlords than at any other point since the 2007 financial crisis, therefore tenants have more choice than they have had in recent history,’ said Middleditch. ‘As a result, landlords are operating in a more competitive market place than many have ever experienced, requiring astute decisions to be made regarding marketing strategy. Whereas in the recent past many properties would often be described as being able to let themselves, it is now important to launch a property to the market correctly,’ he pointed out. ‘In order to be achieve the best rental price and the highest quality tenant, and to keep the length of time it takes to find a tenant to a minimum, considerations include the timing of the launch, quality of marketing material, realistic asking price, and presentation of the property,’ he added. He also pointed out that in spite of the government’s plans to cut tax breaks for landlords to level the playing field between buy to let borrowers and first time buyers, the fundamentals for buy to let are still strong. ‘Whilst yields may be affected by the reduction in mortgage relief; the shortage of new housing stock, people renting for longer, and new pension freedoms, will continue to drive this sector,’ he explained.